I used to be in the military and served in Iraq in 2003, not being in the army any more as most X service personal will say (you miss the buzz) I really needed to find a sport/hobby to do in my spare time. I began to research different shooting disciplines on the internet and found High power rifle, Civilian service rifle and practical rifle of most interest to me. 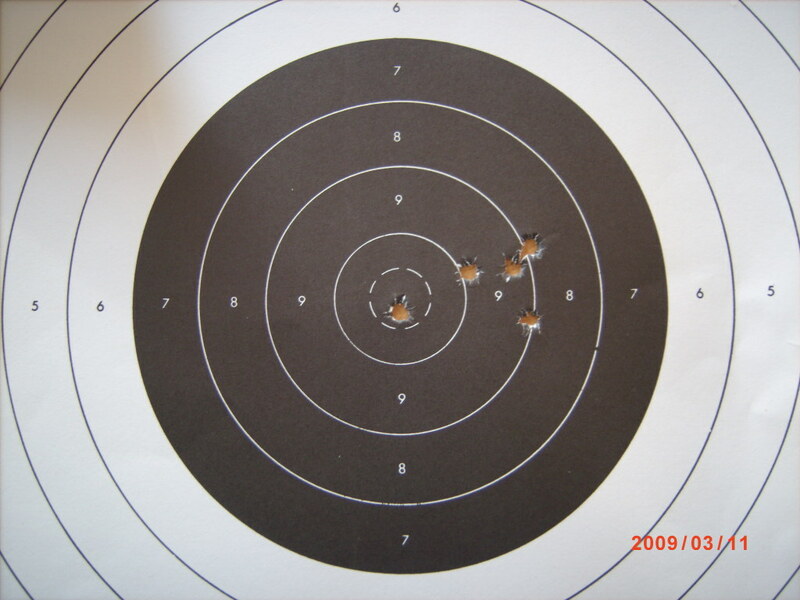 The dominant rifle used in all three of these disciplines is the AR15 Chambered in 223 (5.56). It just so happened that I had a spare slot on my FAC for a 223 (5.56) for foxing & vermin control on around 900 acres of land that I used to work while in my teens. Now I found the disciplines I wanted to take part in the next thing was to find the rifle. The main contenders out there who I contacted who build AR15's were the southern gun company they seemed a little too pushy for me and I had read some not great reviews on them. 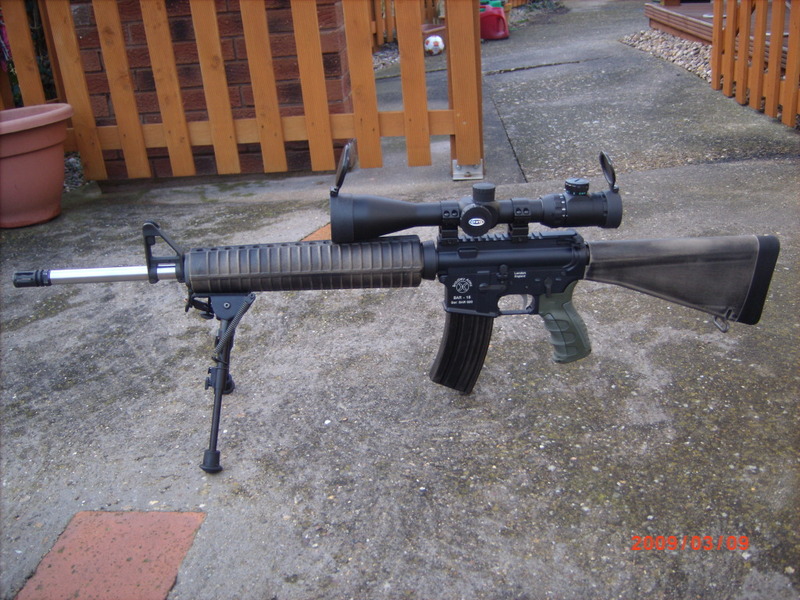 Sabre defence thought there AR15’s looked the DOGS (military spec) the problem there was the Guy I spoke to kepted promising to contact me with a price and didn't return any of my E-mails so I gave up on them. Then I was recommended and read lots of satisfied customer’s reviews on Bradley Arms. I phoned Mark Bradley (Bradley Arms) and had a chat with him about what I wanted to achieve with my new rifle. I wanted my new rifle to be compatible for High power rifle, Civilian service rifle, Practical rifle, fox/deer control. Mark gave me loads of advice of what spec to have a rifle built to be able to shoot the above disciplines. This Guy is really switched on when it comes to AR15's and left me full of confidence that I had found the right man for the job so I decided to place my order with him. The turnaround time from placing my order to me receiving my rifle which Mark posted to my local gun dealer was only two weeks. The build quality is tip top, the action is very smooth with minimum effort required to cycle this weapon. The extraction is very good to. They is minimum amount of movement between upper & lower receivers. The rifle spec: 20" stainless Border barrel 1/8 twist fitted with A frame fore sight, standard rear sight/carrying handle, standard muzzle flash eliminator, free floating hand guard, 9mm A4 flat top upper (not sure about the lower receiver) right hand straight pull with T handle also fitted. Two stage Jewell trigger, Harris bipod adapter stud #5, standard fore grip stock and pistol grip in desert colour. Additional items that I have fitted/done are, fitted a Command Arms pistol grip in (Olive Drab), fitted an extended recoil pad to extend the length of the stock as I have been experiencing parallax error caused by bad eye relief. 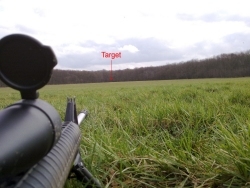 (Scope is as far forward as it will go) Harris bipod, a cheap scope just to get me started (Hawke Eclipse 30 SF 4-16 by 50 mil-dot with green/red illumination), Hawke match mounts. I wasn't sure about the desert colour plastics so I decided to spay some mat black paint on them (lightly dust sprayed so some desert colour can still be seen) I think it looks good, let me know what you think? 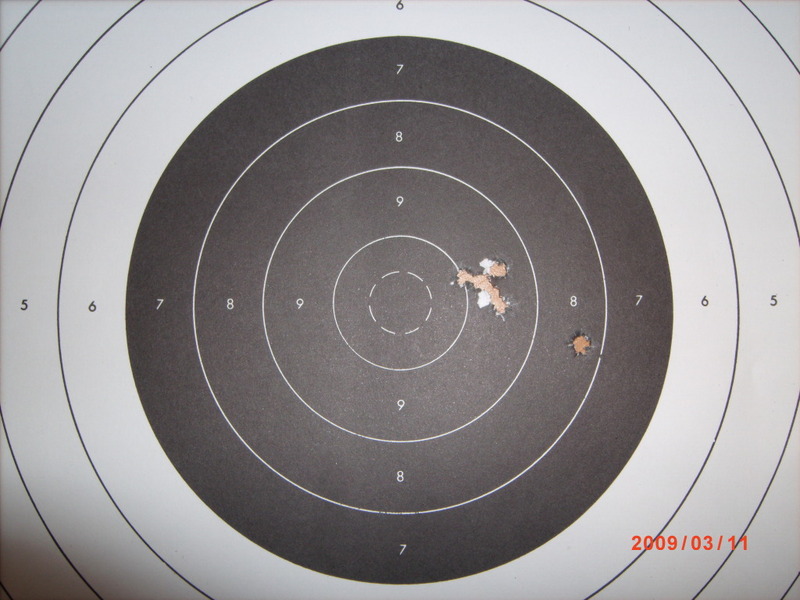 I have just started reloading these pic's of target show the difference between factory ammo and home loads at 75M. 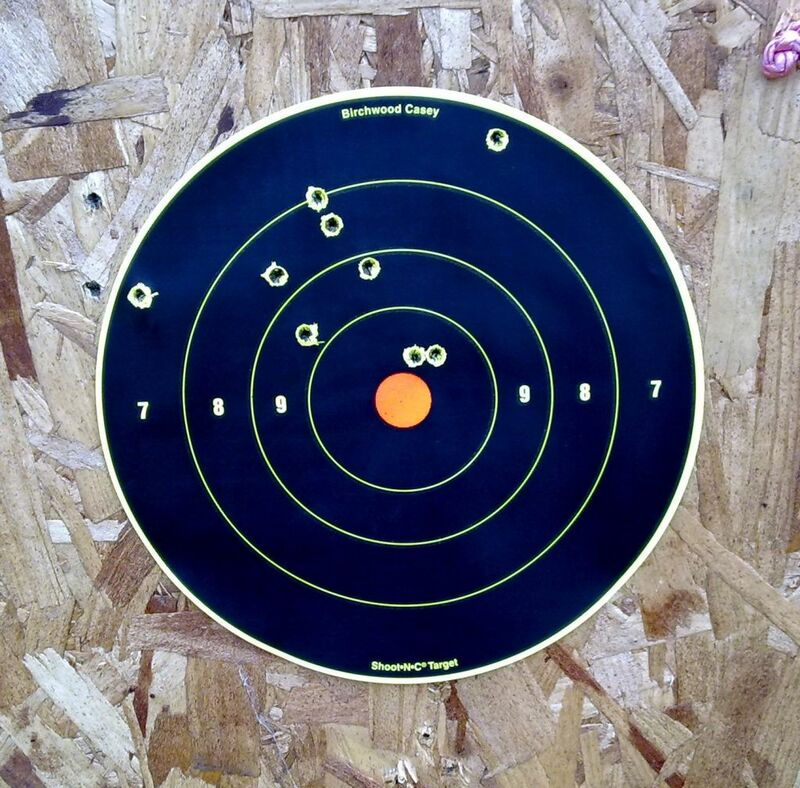 Home loads using 55gn Lapua bullets, Factory loads 55gn American Eagle. I wasn't to worried about where on the target I were hitting just the group size. I'm shooting at Bisley in April from 200m, 300m, 500m, and 600m with my local club. I'm the only person taking a 223 (5.56) calibre weapon, everyone else who is going are taking 308 (7.62) or bigger. They is a lot of people who really under estimate the calibre 223 (5.56) some even think I will have problems hitting the target at 600M so I would love to prove them wrong but we will see. I will post more info and pics after Bisley.